Birmingham, England, used to be one of the world’s largest gunmaking towns. Thousands of people used to be employed by the trade there, and all kinds of makers had shops or factories in and around the city. William Ford was one of these makers. William Ford rose to prominence in the late 1870s as a barrel maker, and by the 1880s he had his own shop/factory in Birmingham. I’m not sure when the side-by-side you see here was built, but judging by the fluid-steel bbls I’d say it was made in the early 20th century. From what I can see, this double looks like a good deals – if the gun is in proof and the bbl walls are sound (I like to see .o25″+ as a minimum in each tube). Be sure you find out before you close the deal. I always have respect for guns made by Wm Ford. They went that extra yard beyond many Birmingham makers to give their guns that bit of je ne sais quoi. Maybe a bit of extra ‘class’ is the word. This one is no less an example but but judging by the photographs shown the engraving has lost its crispness which might lead to the fact that it has had good use since its manufacture from about the turn of the century. To have barrel thickness of .025″ or above might be rather a tall ask. If I were buying I might chance it at $1000 less money. 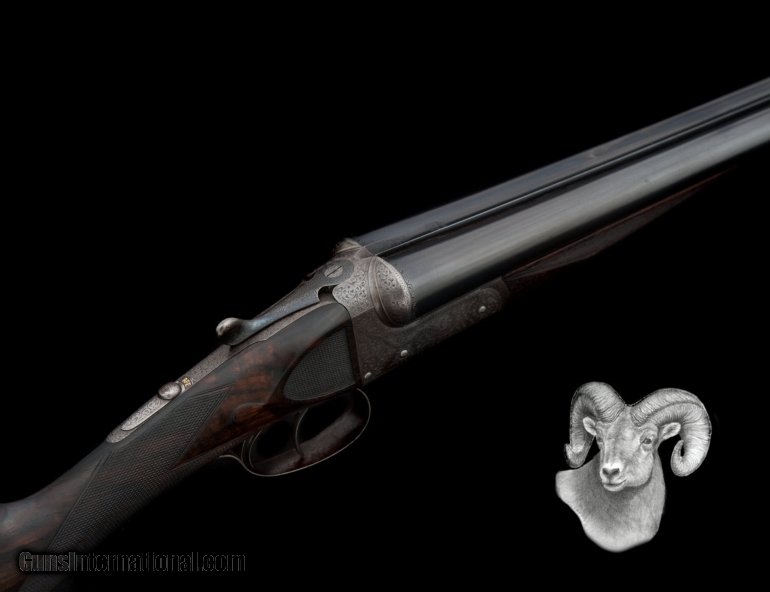 Yeah – it looks like a nice gun, and it’s hard to tell if the engraving is worn or if the pictures are out of focus. I noticed the seller says the chambers are 2 3/4″. That may we wonder if the gun was in proof and if the bbl walls were still good.